10 quantity of 100% pure cotton (kind attn: not organic cotton as seen in the image) Maternity pads for postpartum period. Specially recommended after childbirth or other surgical interventions Dimensions: 11.5 inches (length) * 3.6 inches (width). Hypoallergenic, helps to reduce the risks of irritations and allergies. Cotton non-woven coversheet with special interlace which avoid that fibres could stick in the wound. Soft and spongy surface for added comfort. Explore the entire range of Feeding and Nursing available on Nykaa. 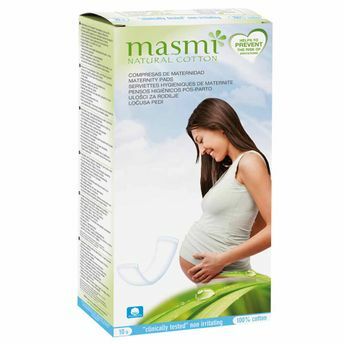 Shop more Masmi products here.You can browse through the complete world of Masmi Feeding and Nursing .